It is known fact that your job cannot make you rich. Your job can give you steady and limited income. If you are happy with steady and limited income, it is up to you. However, if you have decided to do establish a side business along with full-time job this article is for you. 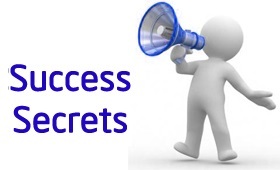 Today I will be sharing secrets of becoming successful in a side business. How good it is if you are getting paid for what you like? Yes, I am talking about your hobby. The first secret of becoming successful in a side business is convert your hobby into a business. Your business idea should be something for which you are passionate about. If you love teaching you can start your own tuition class. If your hobby is writing you can plan to start a blog. Turning your hobby in to business increases your chance of becoming successful. I have seen a lot of people making a mistake of starting service based business. Starting a service based business means owning another job. It will be extremely difficult for you to give time to new service based side business along with a full-time job. The solution is to start a product based business and not service based. Don’t sell service create a product and sell a product. As your business grows you will need some expert helping hand. I have seen many people making a mistake by doing all the work by themselves. They remain under pressure and finally succumb and leave a side business. A better way to manage business is to find some helping hand either employee or working partner. I know a person who takes up a freelancing project in part time and outsources it to another team member. So, third secret of getting success in a side business is to find some expert helping hand. A most common reason for not starting a side business or failure in a business is time management. People says that they don’t have time to manage a business. If you are one of them, you need to introspect yourself to find out where your time is going. You need to cut TV time or party time and spend it on growing your side business. The last secrete of becoming successful in a side business is utilization of technology. You need to hang around and find out tools that can improve your productivity (e.g OneNote, Quickbooks, drop box). In addition to this you need to leverage the technology for increasing your sale. You can create your facebook business page or list your business in various free business directory. You can create whatsapp group of like-minded people and promote your business activity. I am sure that 20 side business ideas and secrete of becoming successful in a side business will help you in establishing your business. If you have already established your business do share your experience with readers.